Facebook is buzzing with a forthcoming event in the coming weeks. 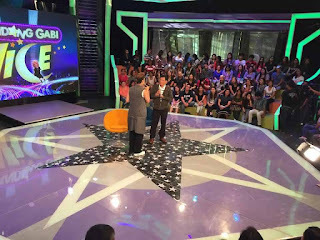 Future presidential contender Mayor Rodrigo R. Duterte of Davao City will be a guest of Vice Ganda’s show Gandang Gabi Vice a few days from now. This is a big event in Philippine TV show as Davao City mayor is already trumpeted as one of the heavy contenders to become the next president of the Republic of the Philippines. While Mayor Duterte has not officially declared his intention to run, there are millions of Filipinos urging him to do so as they believe that he is the only one who can lead the country very satisfactorily in the coming years. As of the latest survey, Mayor Duterte already figured in the top three rankings of presidential aspirants. Political observers believe that he will tilt the balance to his favor once he formally declare his desire to run as the next president of the Philippines. This is what makes his appearance in Vice Ganda’s TV show important as people will be looking forward for his formal announcement or will be looking for clues with regards to a possible declaration of candidacy. Fans of both Duterte and Vice Ganda are also looking forward on how the two prominent figures will ignite the screen considering that Vice Ganda has the wit to match Dutertes fiery remarks. It will be an interesting match up. At the same time, Duterte’s appearance will help Filipinos decide if he is indeed worthy of their votes in the 2016 presidential elections. 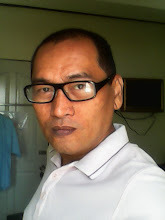 It cannot be denied that while he earned millions of admirers due to the way he managed to turn around Davao City as one of the safest, child friendly, livable cities in the world, there are still millions who are doubting his capacity to lead an entire nation. 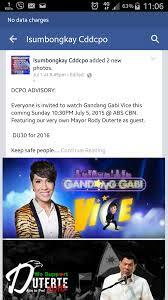 Indeed, Mayor Duterte’s guest appearance on July 12, 2015, Sunday night on Gandang Gabi Vice at ABS-CBN is something to look forward to. Filipinos will be eager to hear his fearless and witty remarks.